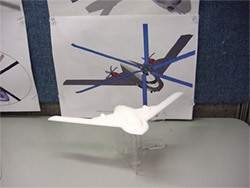 The purpose of this design was to demonstrate a concept. I was asked to loft a fuselage which looked like a B-2 Bomber but was to be used as a compound helicopter which could reach speeds of up to 350 kts. 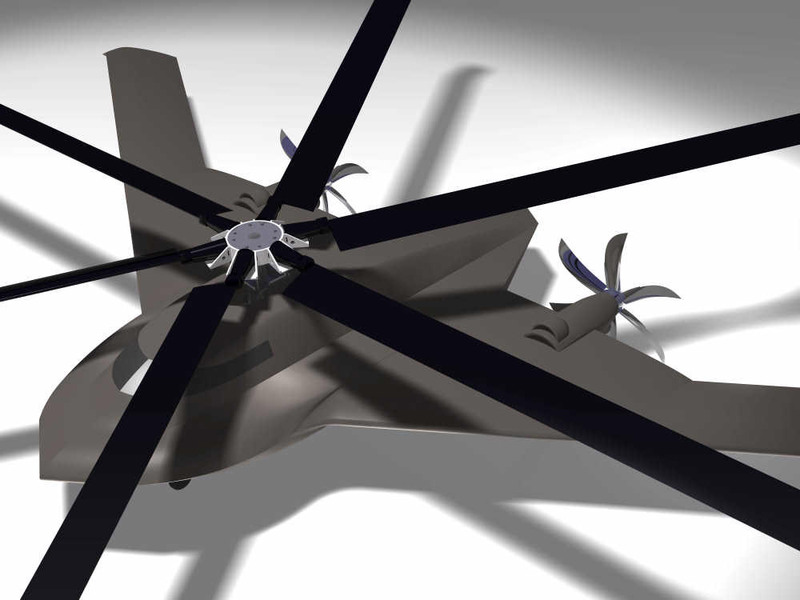 This is what I came up with. 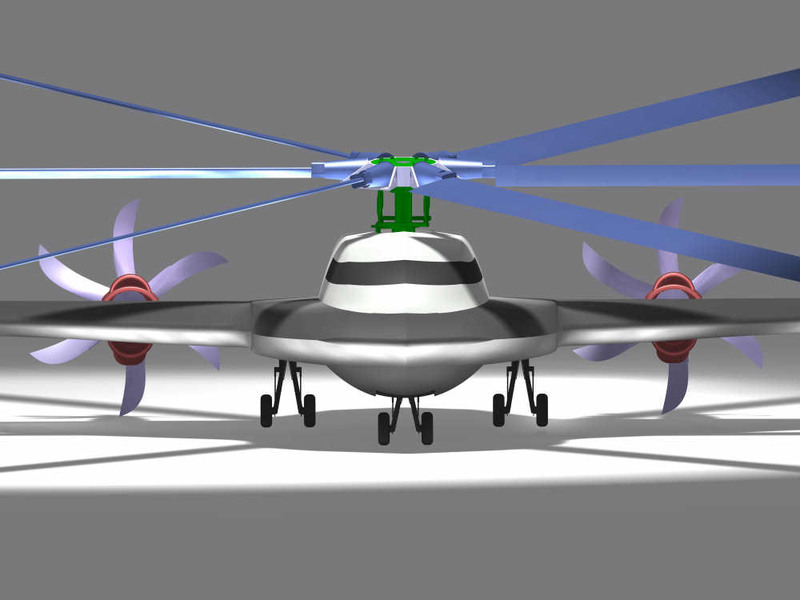 I used Catia V5 for modeling, and image rendering. The blades are from the Apache AH-64. 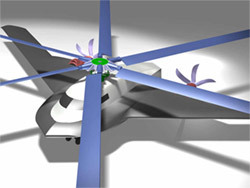 The blade model was retreved from a website in the public domain. 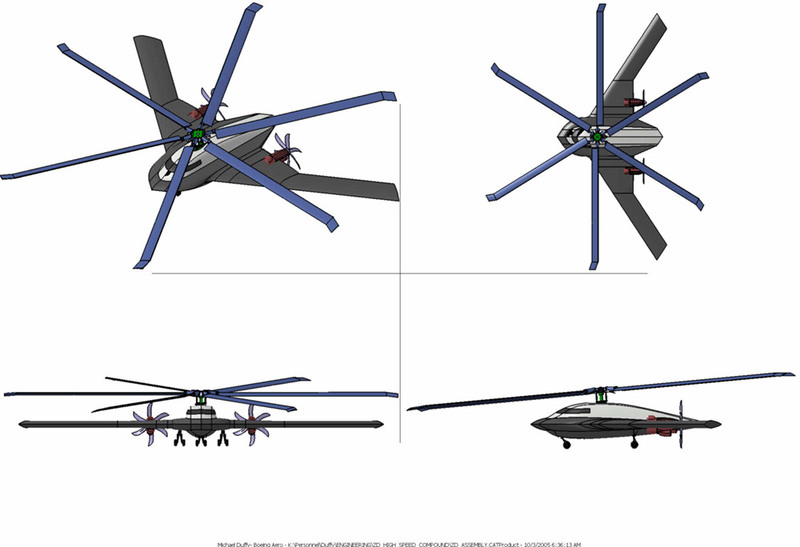 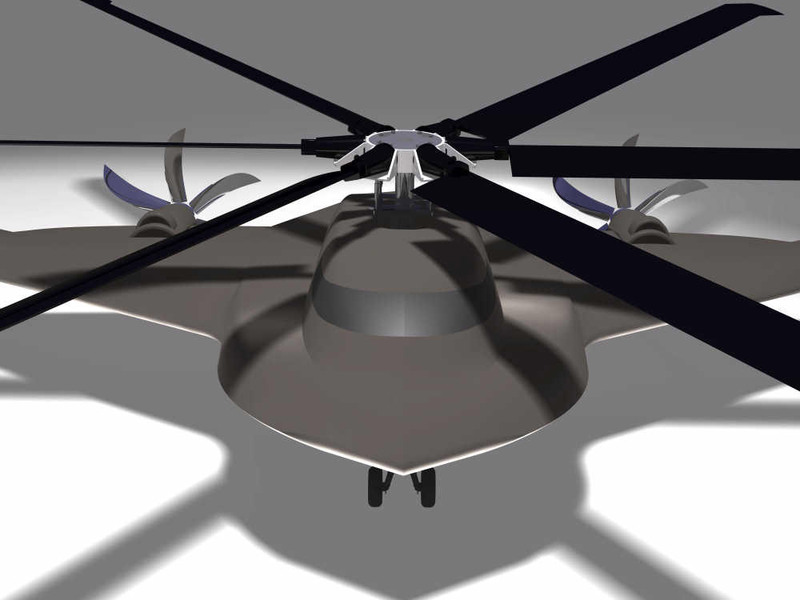 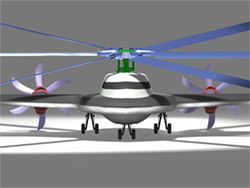 The low noise propellers are a concept, which I also got off the internet, from a public website. 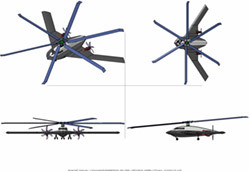 These are conceptual drawings only used to visualize a concept. 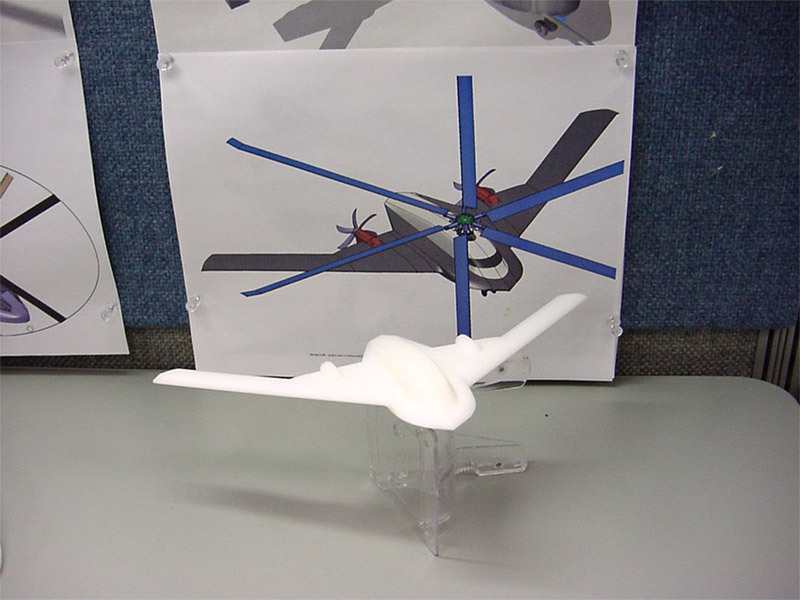 At the bottom left is a picture of a Sterolithograph Rapid Prototype of the high speed fuselage, which could be used for a scale wind tunnel model.